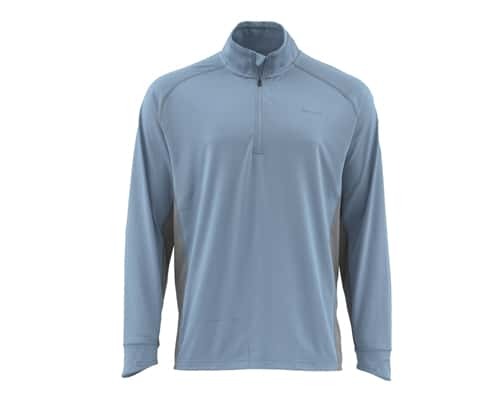 The Simms Solarflex Half-Zip Long Sleeve Shirt includes UPF 50 sun-shielding performance via COR3 fabric tech that acclimates to hot, high sun conditions via masterstrokes in moisture wicking and ambitious antimicrobial comfort. The high neck on this sun shirt allows for better sun protection while the mesh inner side and arm panels release your body heat. Another perk of this solarflex is the quarter zip feature to zip up on the early morning boat ride out to the flats and then to zip it down as the day starts getting hotter. The sunglass chamois at the bottom hem will come in handy when all those fish you catch splash you in the face.